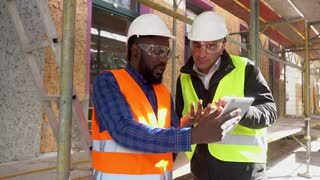 Search Results for "white helmet"
Serious builder in white helmet and green vest using the tablet for work on unfinished construction background. Concentrated young builder in white helmet and green vest at the construction site using the tablet for work. Outdoor. Young caucasian builder in white helmet on unfinished construction background holding the drawing and looking on the camera. Outdoor. 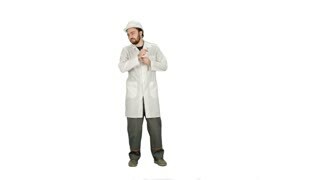 Caucasian serious man taking keyses from caucasian architect in white helmet and green vest. Outdoor. 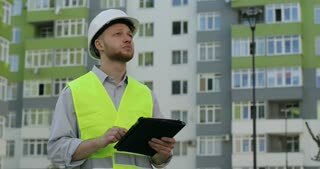 Caucasian builder in white helmet and green vest talking on mobile phone and looking drawing while standing near built house. 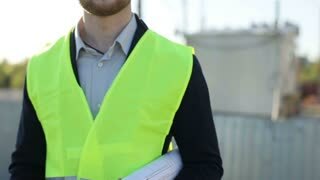 Portrait of caucasian builder in white helmet and yellow vest talking on cell phone and looking drawing on unfinished construction background. Close up. 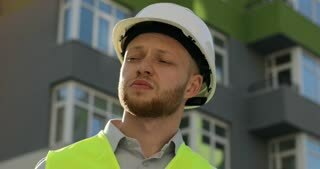 Young caucasian builder in a green vest on unfinished construction background putting on the white helmet and looking around. Outdoor. Architect in white helmet and green vest talking about something with young couple of clients on sunset background. Outdoor. Portrait of serious caucasian builder in white helmet and green vest holding drawing looking on the camera. Outdoor. 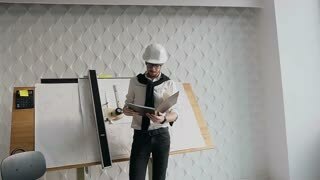 Concentrated architect in protected glasses, white helmet and vest looking drawing on unfinished construction background. Young architect in white helmet on unfinished construction background. 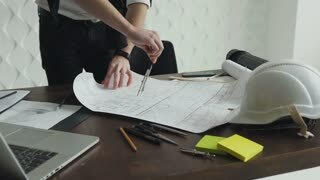 Caucasian builder analysing drawing. Outdoor. Young builder with black curly hair holding in hand the white helmet and going to the camera on the background built house. Portrait of handsome builder with rousse hair and beard putting on head white protective helmet on the background built house. 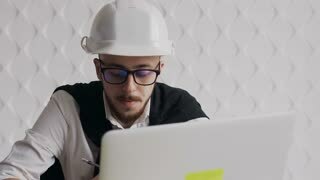 Portrait of attractive builder with rousse hair and beard putting on head white protective helmet and looking drawing on the background built house.